Indigos are strong-willed, intuitive leaders with innate spiritual skills, including the ability to clearly recognise the truth. Yet, in this complicated world, even Indigos need assistance in knowing the next step to take in their mission, as well as relationships and other life areas. 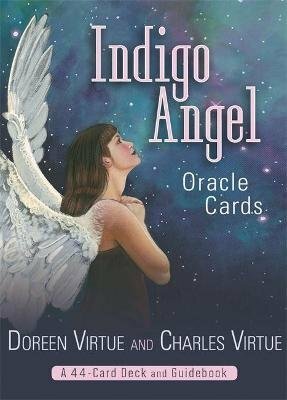 That's why Charles Virtue (an Indigo himself) and his mother, Doreen Virtue, created these Indigo Angel Oracle Cards specifically for Indigo children and adults (along with their parents and teachers). Each of the 44 beautifully illustrated cards contains a special message from the angels. The accompanying guidebook explains the meanings in a way that is simple and to the point - after all, Indigos are on a mission and have no time to waste!